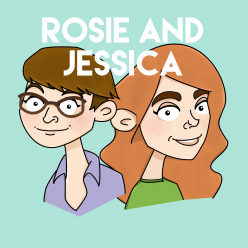 In episode 31, Rosie and Jessica are baking a cake, so hopefully you enjoy the sound of cracking walnuts throughout your podcasts. It was Rosie’s birthday (52 today) and a report from the Knitting and the Stitching Show. For reasons no one’s sure off, the second half of this episode sounds like it was recorded from inside a wooly jumper. Warning: contains accents.